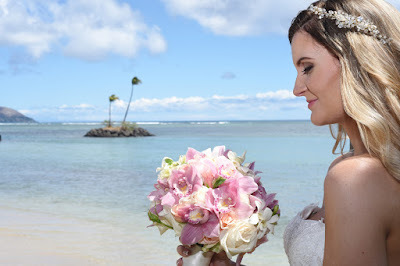 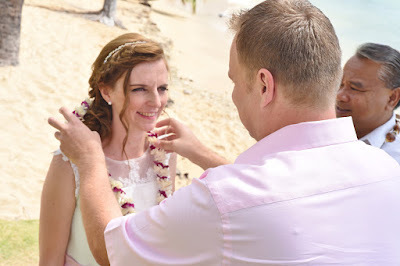 Want to exchange flower leis during your wedding ceremony for a little Hawaii tradition? 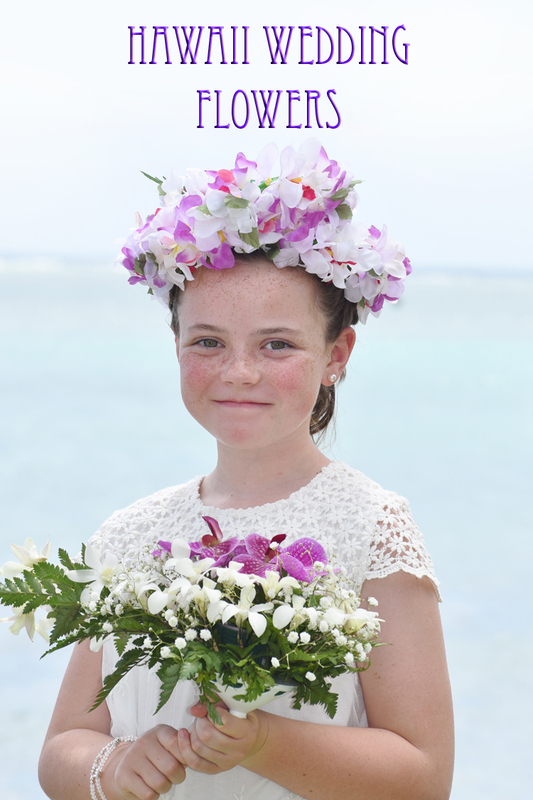 Let us know if you have any particular flower lei request. 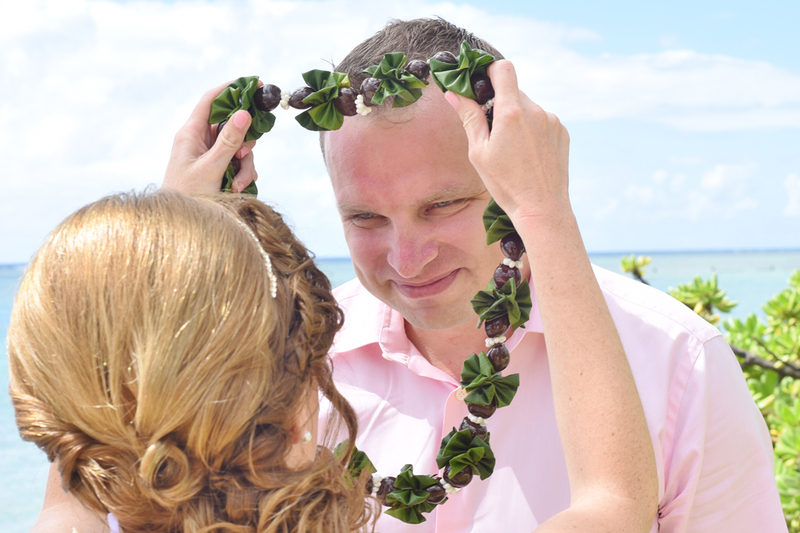 You can add standard or deluxe leis to any wedding package. 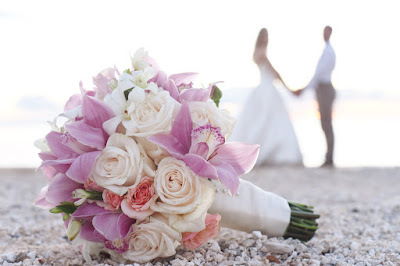 Beautiful white and pink tropical flower bouquet. 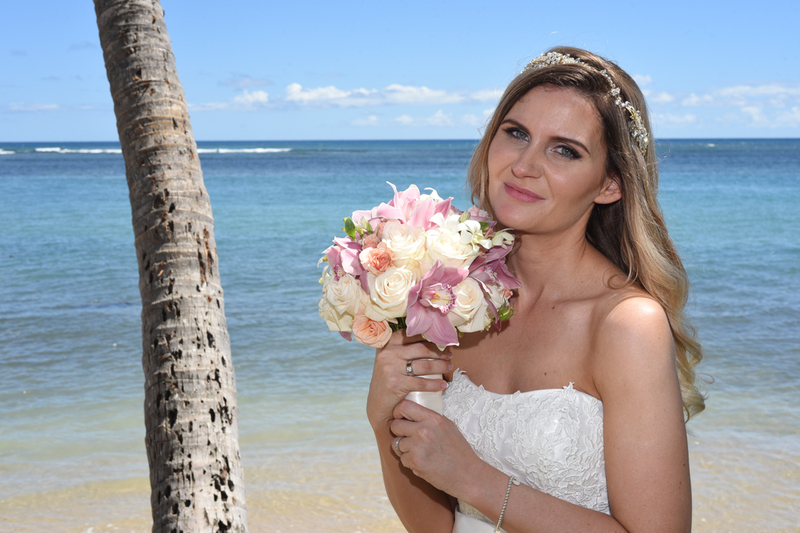 Australian Bride Sarah does a fine modeling job for us! Beautiful flowers in the soft evening sun at Magic Island! Here's another use for your flower lei. You can pull the Groom and give him a kiss! There's something simple and magical about plumeria. Their tropical style match the Hawaiian beach. 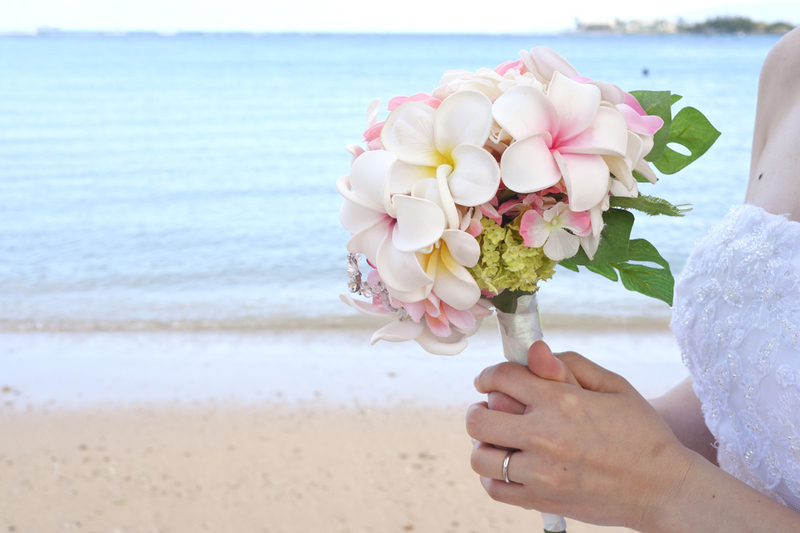 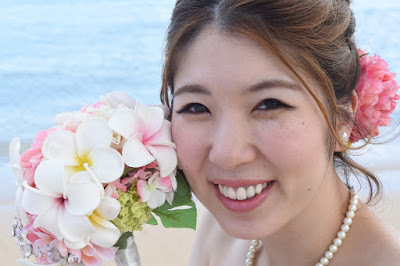 Mayu makes an awesome model for the Bride's plumeria flower bouquet!